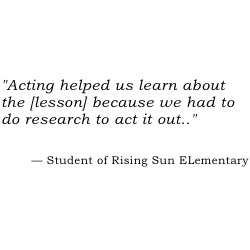 When they are not teaching, many InterAct Story Theatre artists are creating artistic work and performing professionally with respected companies throughout the region. Several of our artists are directors of their own arts companies, and have won recognition and awards for their craft. 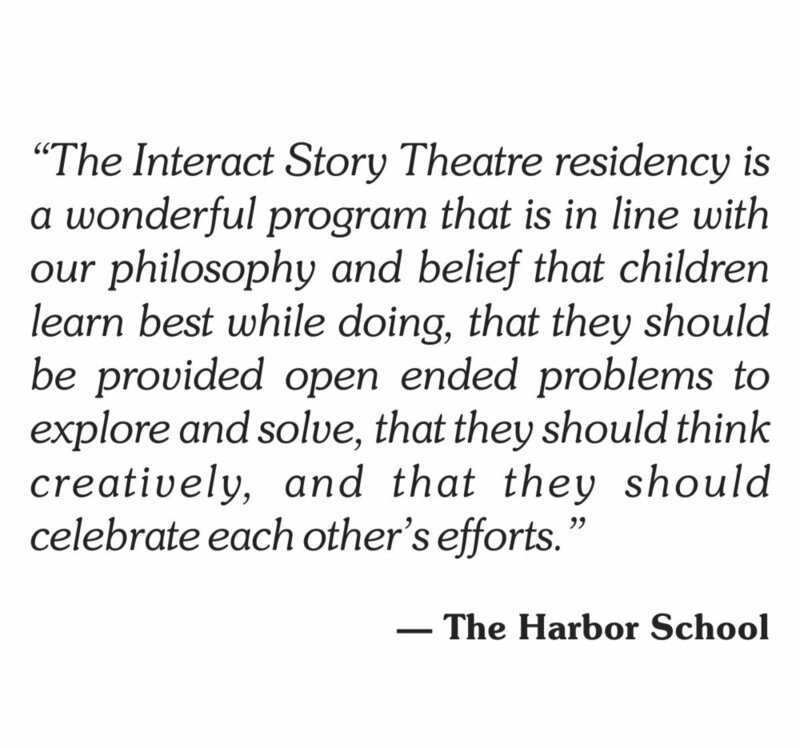 A masterclass or clinic with an InterAct Story Theatre master artist can be a great way to help your arts students move forward, provide real-world professional insight and feedback on student work, or to pursue specific skills and topics in your theatre, music, or dance classes. For more information about specific topics, or to inquire into artist availability for master classes and clinics, please contact us! Ali Oliver-Krueger, Executive/Artistic Director of InterAct Story Theatre: vocal music, theatre, acting/actor coaching, directing, audition preparation for actors and singers, playwriting, theatre management/arts administration. Tom Teasley, award-winning composer, world musician, and percussionist: world music, percussion, combining digital looping with live performance.